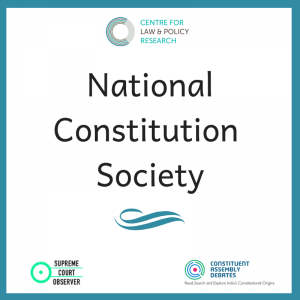 On 23rd November, the Centre for Law and Policy Research (CLPR) will organize the First National Constitution Society (NCS) Convention at the Indian Institute of Human Settlements, Bangalore. This one-day event will bring together Student Delegates, from academic institutions across the country, with academics, lawyers and civil society leaders. It presents Student Delegates with the opportunity to critically engage with the history and contemporary relevance of the Indian Constitution and develop a plan to preserve, protect and promote constitutional values in the 21st century. This NCS Convention is supported by Regional Office of the Friedrich Naumann Foundation for Freedom (FNF). There will be live-coverage of the Convention on Twitter and Facebook. Follow us for updates. Where are the Shudras? (Reading 1) here. Radical Social Democracy (Reading 2) here. Prompt 1: Where are the Shudras?